I'm pretty much madly in love with this time of the year. There is snow outside my window, warm coffee next to me and holiday music playing in the background. Twinkling lights, cookies, peppermint everything, sentimental feelings, family. Shall I go on? As much as I love it, I get caught up in the madness. I've been thinking a bit too much about the Christmas cards that still aren't done (or designed-yikes), the presents I still haven't purchased, the decorations that still aren't up. I just can't ever do it all. And, that dulls my holiday glimmer. "The present moment is filled with joy and happiness. If you are attentive, you will see it." I hope to pause and recognize the joyful moment in front of me instead of thinking about what's next on my never-ending to-do list. This is a pretty common theme in my life, but a lesson I need to continuously be reminded of. There's so much joy in this season, if only I can stop long enough to see it. I am up working on a post about sleep because I can't sleep. Cue the irony! I've always slept like a rock, much to the dismay of my husband and mother. My mind even incorporates my alarm into a dream so I don't realize it's the actual alarm going of. That is, until recently. I'm not sure why, but I'm having trouble going and staying asleep. 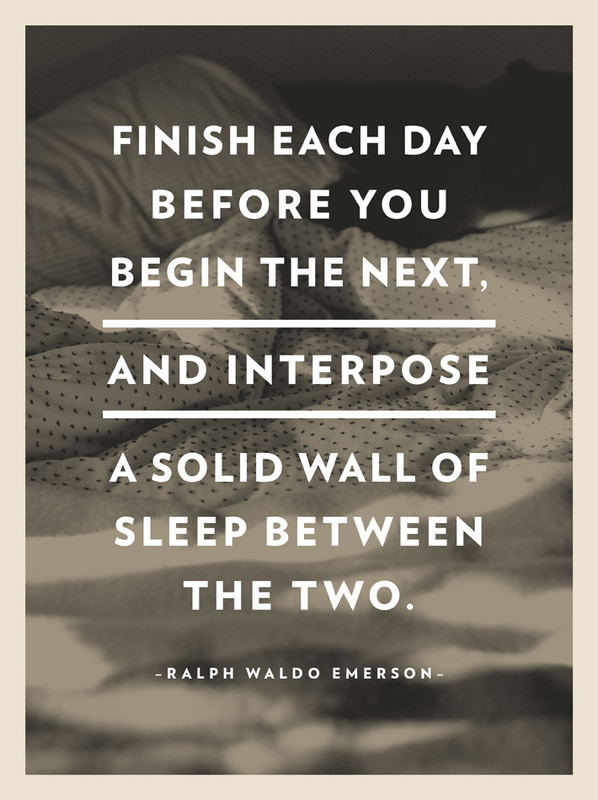 "Finish each day before you begin the next, and interpose a solid wall of sleep between the two." So, this month, I'm going to make some efforts to hopefully get some better rest. Some actions I'm considering are: putting the phone away mid evening, drinking less caffeine, spending some time reading before bed, going to sleep early and rising early. Does anyone have any tricks for getting to sleep or going back to sleep?